T500W/2 - Earthquake Sound Corp. 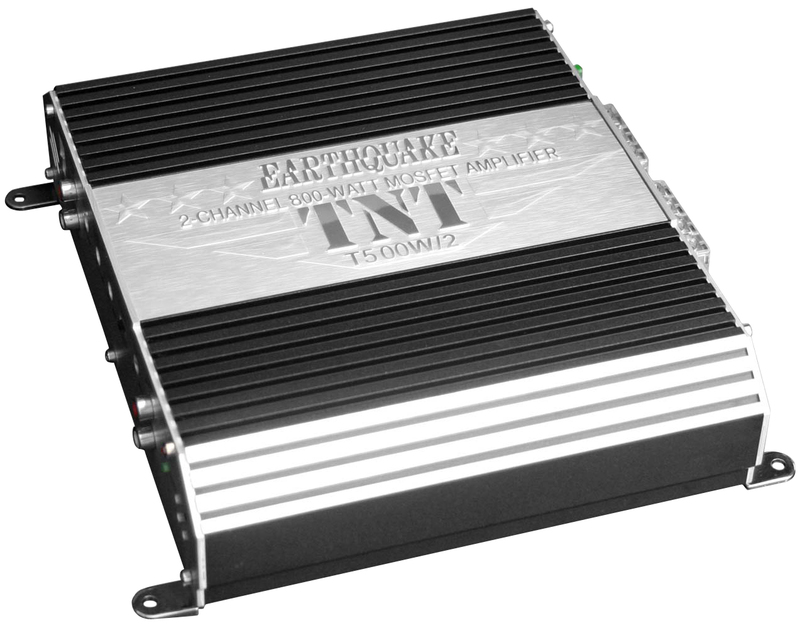 The TNT amplifiers have the power and intensity that Earthquake is known for with an affordable price tag. Everybody deserves a strong amp to keep up with their system, the TNT series offers enough options to cover the needs of any set-up. Loaded with useful features such as speaker & RCA level inputs, built in variable filters, 3-way operational (High Pass/Full Range/Low Pass) modes, and much more, the T500W/2 integrates patented output technologies and is built with massive MOSFET power supplies and high quality circuitry that ensures more power and cleaner sound for less cash.